Celebrity EdgeSM marks a turning point in Celebrity Cruises’ approach to ship design. From the very first sketches to experiencing those designs in a virtual reality setting, every step was done in 3-D. From the incredible new Magic Carpet to the private plunge pools in our new 2-story Edge Villas, we could design the most refined ship at sea. The unique outward facing design breaks from traditional ship design. 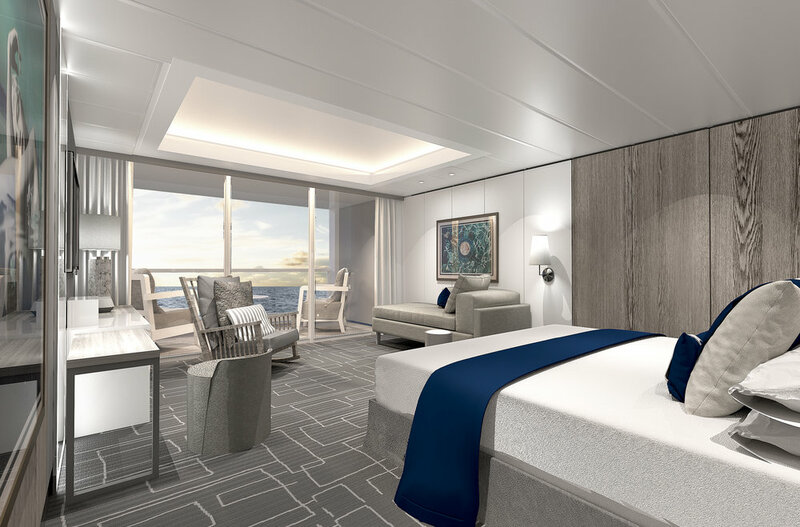 Aboard, you’ll feel more connected with the sea and the places you’ll visit in a variety of spaces ranging from its Edge Staterooms with Infinite VerandasSM, to the reimagined, terraced pool deck that offers even greater views of the destinations and shimmer of ocean. Brilliant innovations give you open air access to the sea, whenever you wish. The latest technology lets you precisely adjust nearly every comfort feature in your stateroom, suite or villa. Reimagined spaces feature larger living areas, bigger bathrooms, and a king-size bed in 99% of our rooms—an industry first for premium cruise lines—plus Celebrity’s eXhale™ bedding featuring the Cashmere Mattress. With the widest range of staterooms in the Celebrity fleet, there’s a room on Celebrity Edge perfect for your vacation needs. From our new Single Staterooms—designed for modern travelers who love to explore the world on their own—to our perfectly indulgent Panoramic Ocean View Staterooms. 178 possible options of connecting staterooms make it easier than ever for families and friends to get together and get away in modern luxury. Combinations include two adjoining Edge Staterooms with Infinite VerandasSM connected to become one, and the Iconic Suite and the Royal Suite connected to create our largest unique combination that comfortably sleeps 10. For the new Edge Class accommodations, famed interior designer Kelly Hoppen took the lead on design. Her vision evokes the intimacy of an inviting, indulgent urban apartment that opens to the most beautiful scenery on earth. With Kelly’s tremendous style, every stateroom on Celebrity Edge is a spacious work of art that you’ll be glad to call your home away from home. 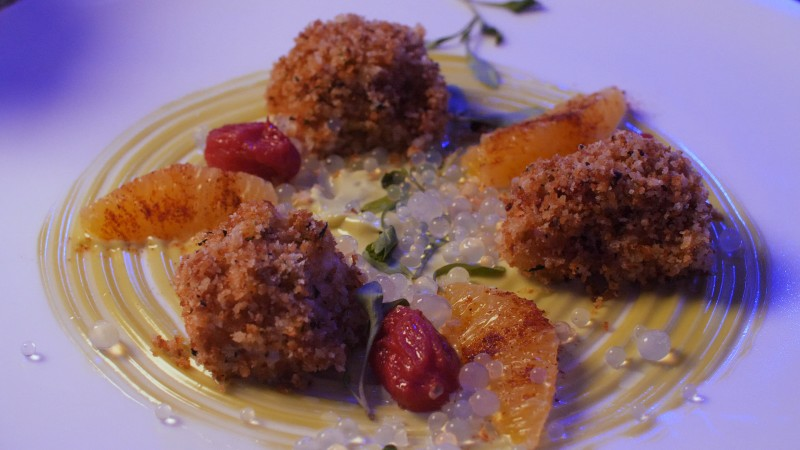 World-class restaurants that open your world. Celebrity Cruises designed Celebrity Edge to change the way you experience the world, and their culinary philosophy follows the same line of thinking. They’ve turned their focus to the destinations they visit, bringing the flavors of the world to you—right on board. 29 unique food and beverage experiences crafted by a Michelin-starred chef speak to all of your senses in distinctly different ways. You won’t find another dining experience like this at sea – or on land for that matter. For modern adventurers, travel isn’t a spectator sport. It’s about being fully immersed in new destinations and cultures without sacrificing comfort and style. Celebrity Cruises knows this. After all, they set the standard for modern luxury travel. And now they’ve made the destination experience even more immersive, starting right on board.